Increasing yields from tiny gardens? How? Vertical gardens. 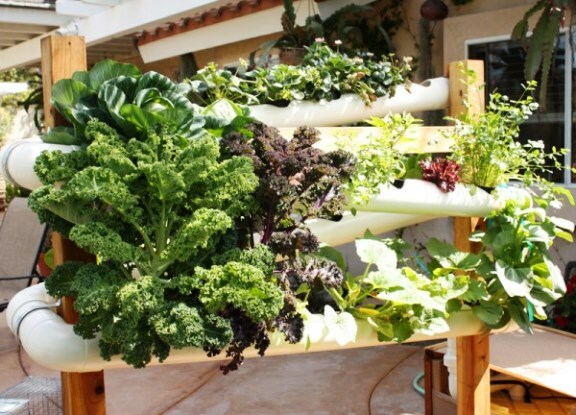 It makes wonderful sense if your garden is 'space challenged' to grow up and over trellises and support beams. My only concern with vertical gardens? Watch out for the falling pumpkins! "Necessity is the mother of invention," is a cliché often quoted, and human food requirements necessitate sponging-up sunlight at smaller and smaller focal points. Homeowners with small yards possibly started the trend somewhat out of necessity. They put up a trellis here and a trellis there. Then somewhere along the way, it dawned on them that vining plants, such as cucurbits, those that produce melons, squash, cucumbers and pumpkins, are much like grape vines, producing tendrils that secure to structures so they can climb as they grow. 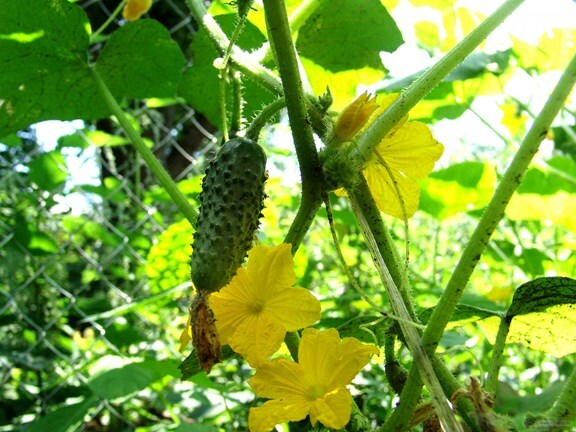 Commercial farmers still grow cucurbits on the ground, but home gardeners realized long ago that these vining plants are more adapted to growing upward. Of course, home gardeners support cucurbit vines on trellises of all sorts and have devised many ingenious, albeit awkward, means of providing support to heavy melons, pumpkins or squash while they are yet ripening and suspended. Mostly they have been delighted by astounding yields and healthy delicious fruits. As pleasurable as it is to bite into these orbs of sweetness and palate sensation, though, there is another thrill exclusive to vertical gardening that may eclipse these joys. Vines grown vertically are artful all by themselves as they twist about and their tendrils reach and spiral. If you decided to have a spot with a vertical garden in it, you will soon observe, though, that with a little pruning and directional coaxing using garden ties, they can be guided to achieve magnificent form and function. Each day of the growing season you can step over to your vertical garden to find wondrous surprises. The magnificence of vines grown vertically tugs gently at our subtler nature until we begin to awaken to a certain glimpse of the sublime. The joys experienced when tending vines may be akin to what one feels when listening to corn grow during the hush of dawn. Stopping and observing nature, you can indeed fall into awe sometimes while cultivating and coaxing vines to grow left or right or up or down to fill your garden structure. Cover an unattractive wall or fence or even an old tree. Some people have old cars on their property… bet they'd look nice draped in squash. Uses less space than rows of plants or spreading over a large ground area. Can be any height tailored to suit the surroundings or used as cladding on a building. There are a number of financial, social and environmental benefits as well as the sheer wow factor of the visual effect. A vertical wall covered in plants creates a 'green space' while using minimal ground space. This provides an instant, textural green solution to architectural facades. A vertical growing wall on a house also produces thermal insulation and improves air quality. There is a reduction in noise pollution and it can be handy to use to aid grey water purification. It is easy to build in a water reticulation system so you get maximum resource efficiency, which is good to have in water-sensitive climates.